In 2005 I went to Cuba for the first time. I headed down south in order to train in Cuban dance with professional dancers. I own a Cuban dance academy and I have learned Cuban dance in various countries but never from the source. My first trip to Cuba was hard; I crash landed into the culture, got confused by the intense seduction, and could feel that something was off but could not put my finger on it. Cuban food seemed horrible as well. I could tell there was more to Cuba than I understood; I just didn’t know how to find it. Since that year I have religiously gone to Cuba annually for the summer to study dance. It was my desired break from my hectic schedule running my own company and being a full time business student. From year to year I dug deeper and deeper into the culture to the point that my Cuban friends have become like family. They showed me Cuba in a way that very few get to see. They allowed me to understand how they feel about their culture and living in a totalitarian regime, to absorb their religion and the ceremonies they perform, get familiar with their dance and music to the highest level, appreciate their delicate cooking, and above all share their true hearts and love. Because of them many of my original misconceptions have faded. Throughout the years I have taken people to Cuba on tours, showed friends around, and observed many people visiting from various countries. Most of the time, it feels as if I am living in Cuba while others are just visiting. 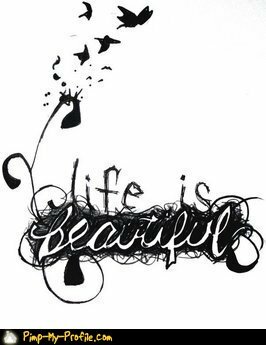 I have the ability to transform their traveling experience and make it magical, while they struggle to find what is right under their nose. Cuba has a certain charm that is hard to explain. It’s seductive. It gets under your skin. But to get it you have to surrender to the way things are, rather than force your way. Cuba is a place that lives from the heart, and as such it is an inspiring culture. The Cuban charm can move your heart whether you decide to visit it or not. I wanted to show people a journey through the arts, the culture and above all, the people. And what better way to do it than through personal stories. There is nothing more engaging. Before writing My Seductive Cuba, I called my two best friends in Cuba – Yerilu and Israel – and asked their permission to share our most intimate stories. Their reply was:”It would be another stepping stone in our beautiful friendship sharing our great memories.” I am honoured to represent many of the things that they have taught me. I personally have never picked a travel guide book before and read it from start till end. Travel guides are books you typically open to search for something specific. My aim was to shift the way travel guides are done. I believe that a travel guide should be like your best friend watching out for you, providing you with the best experience and top secrets. I hope that you will enjoy My Seductive Cuba and that it will enrich your life. As for publishing I decided to take the self publishing route for two main reasons. First, it’s very difficult to score a big publisher as a first time author unless you are a big celebrity with a huge following. They want low risk and guaranteed high returns. Second, I wanted full control of my book. I can honestly say that it is a better end product due to this. The book is in full colour, full of photos, uses high quality paper and the highest quality editing possible. I am a perfectionist, yet I am also an award winning entrepreneur. When I create something, I want it to be as true to the source as possible, yet commercially sellable. I hired the best editor possible, outsourced the design to Latin American, and tracked down the best printers in Canada, after considering China. The next step is distribution and marketing. Self publishing is not for everyone, but for me it was the only route possible. 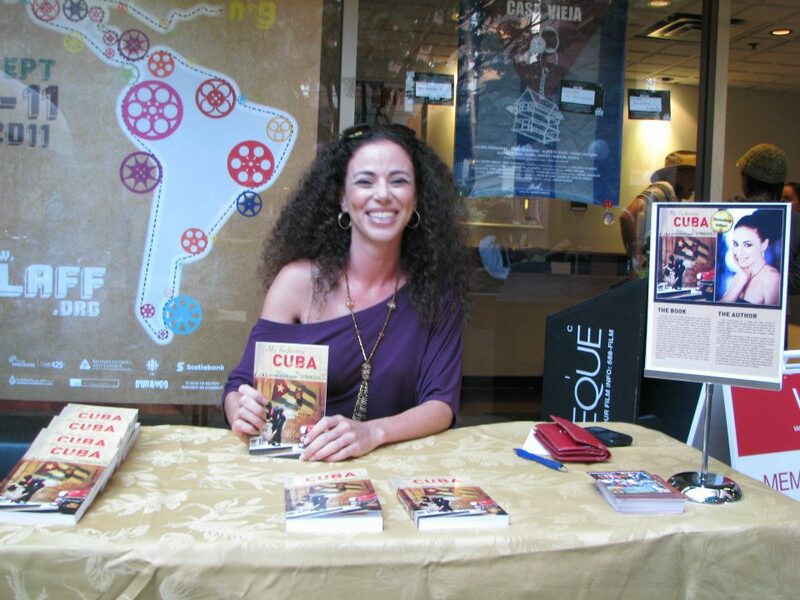 Enough books have been written about Cuba to fill an entire library, but few take the approach Chen Lizra does with “My Seductive Cuba.” Deeply personal and always engaging, Lizra – an Israeli-born dance instructor and entrepreneur now living in Canada – fuses history and politics with her real-life experiences among the people of this often-visited but little-understood island. The result is a moving portrayal of Cuba on the verge of historic change. 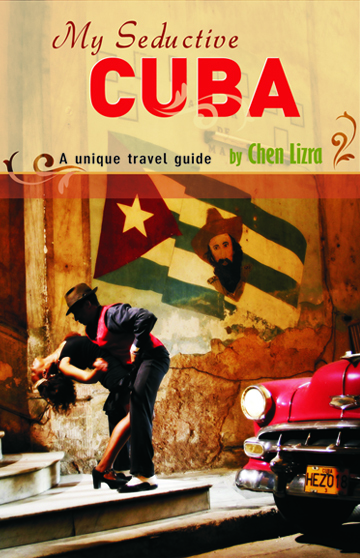 Packed with practical information on where to go in Cuba, what to pack and the best ways to get there, “My Seductive Cuba” also helps readers ferret out persistent opportunists while finding Havana’s best reggaetón, flamenco, jazz and salsa clubs. A glossary of Cuban slang and a description of the Santería religion – along with a vivid chapter titled “Getting Possessed” – makes Lizra’s humorous travel guide even more compelling. This is one book you won’t want to be without, even if you don’t plan on going anywhere! CHEN LIZRA started traveling to Cuba in 2005 in order to train with the island’s best professional dancers. Each year she finds more excuses to visit Cuba, discovering the culture from within and hanging out with her close friends. Chen grew up in Israel and later moved to Canada. She holds a bachelor’s degree in business administration with a major in marketing, which allowed her to turn her passion — Cuban dance and music — into an inspiring lifestyle for others through her company, Latidos Productions®. Visit her website at www.chenlizra.com or www.myseductivecuba.com. Connect with her at Twitter at www.twitter.com/#!/MySeductiveCuba, www.twitter.com/#!/ChenLizra and Facebook at www.facebook.com/MySeductiveCuba. October 14, 2011 in Uncategorized.